The Eichmann Trial: Fifty Years Later Fifty years ago one of the chief operators of the mass execution of Jews was tried for crimes against humanity. 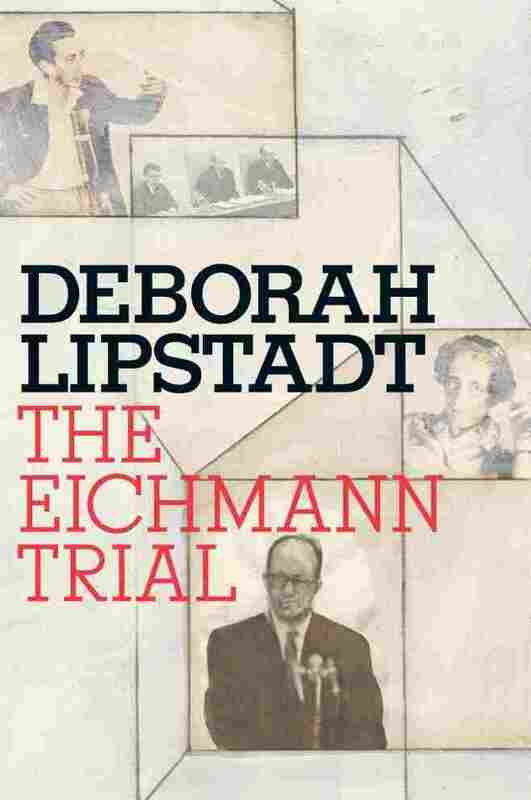 In her new book, The Eichmann Trial, author and historian Deborah Lipstadt explains how the trial transformed Jewish life and changed our perception of the victims of genocide. Fifty years ago one of the world's most notorious war criminals sat in a courtroom for a trial that would be among the first in history to be completely televised. That man was Adolf Eichmann — and he had been in charge of transporting millions of European Jews to death camps. A year before the 1961 trial, Eichmann had been abducted by Israeli agents while he was living in Argentina. The trial captivated millions of people. And it was the first time many of them — including Israelis-- even learned about the details of the Holocaust. 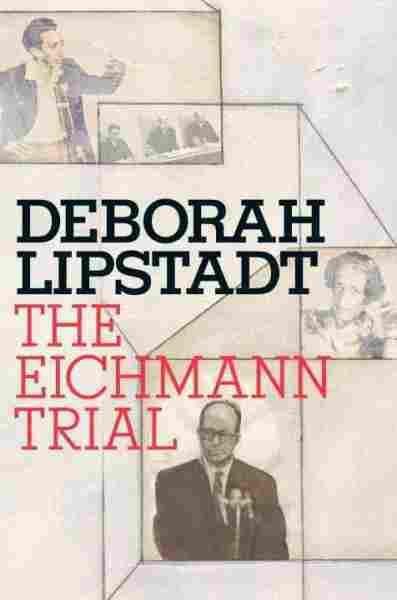 Now Deborah Lipstadt, renowned historian and professor of religion and holocaust studies at Emory University has written a new account of the trial. She tells All Things Considered weekend host Guy Raz that the Eichmann trial was different from any other war crimes trial because it featured the stories of Holocaust survivors and captured the emotions that weren't a part of the document-heavy Nuremberg Trials, which took place more than a decade earlier. "There was a march of survivors, I would say approximately 100 survivors, who came into the witness box and told the story of what happened to them. And people watched them and listened to them and heard them in a way they hadn't heard them before," Lipstadt says. Hearing the voices of survivors wasn't the only aspect of the trial that shook the audience; seeing Eichmann was unnerving as well. This man, who most Israelis considered one of the greatest murderers of all time, appeared so normal. "People were amazed because he looked much more like a bureaucrat, like a pencil pusher, [with] thick black glasses, an ill-fitting suit, a man who laid out all his papers and his pens and kept polishing his glasses with a nervous tick," she says. 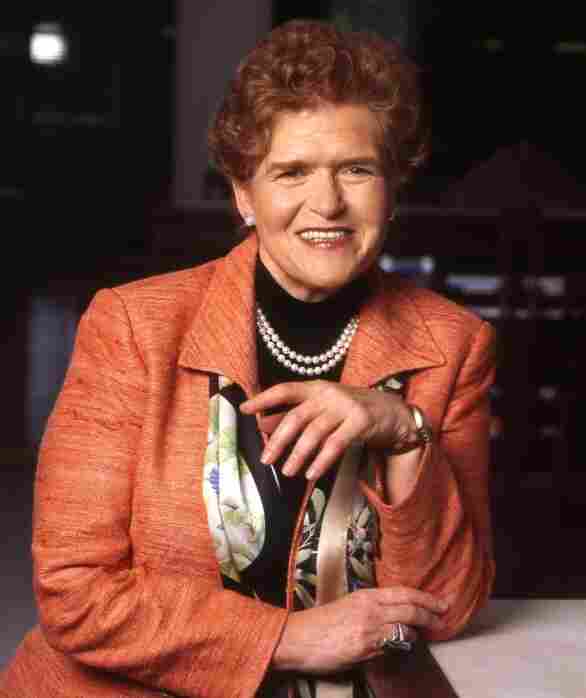 Lipstadt says people asked themselves, could this really be the person responsible for the destruction of millions? But Eichmann's testimony, says Lipstadt, illustrated not only that he was guilty, but how "enthusiastic" he was about carrying out his orders. "There would be times when he would get a communique from the German Foreign Ministry saying the Italians have contacted them and there's a Jew in Vilna, or a Jew someplace else in a ghetto who's married to an Italian Catholic ... and Eichmann would quickly rush to get the man deported, sent to Auschwitz or hidden away so that he couldn't be turned over to the Foreign Ministry and maybe escape. He went after every individual Jew he could find," Lipstadt says. 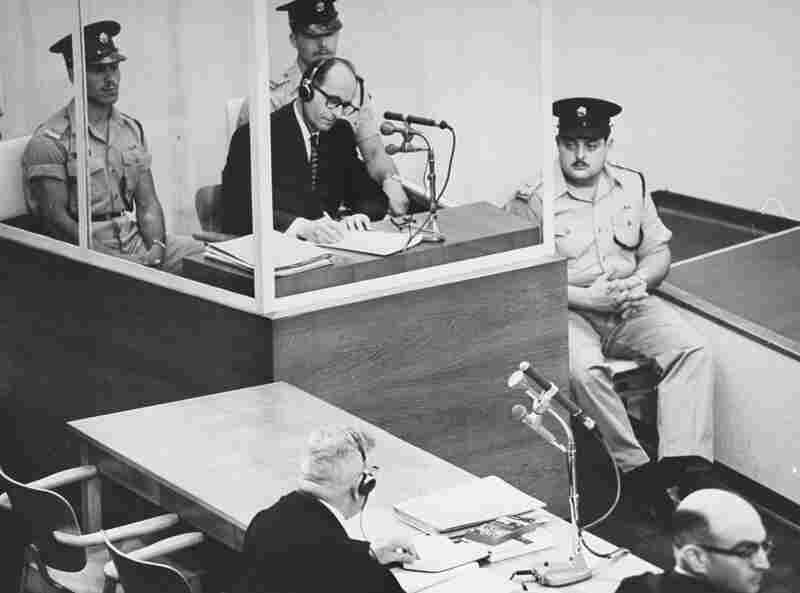 Even after Eichmann was found guilty, the question remained as to whether or not to sentence him to death. No one in Israel had ever received such a punishment, and even Israel's prime minister at the time, David Ben-Gurion was opposed to the death penalty. So when one of the judges stood up at the end of the trial and said "By Israeli law we are not required to impose the death sentence," people thought for a moment Eichmann might only get life in prison. But the judge continued, "We are not required, we may impose it, and we chose to do so because you are deserving of the death sentence." The Eichmann trial affected people across the world, but Lipstadt says it may have had the greatest impact on the younger generation of Israelis. She says it showed them the importance of the existence of the state of Israel. 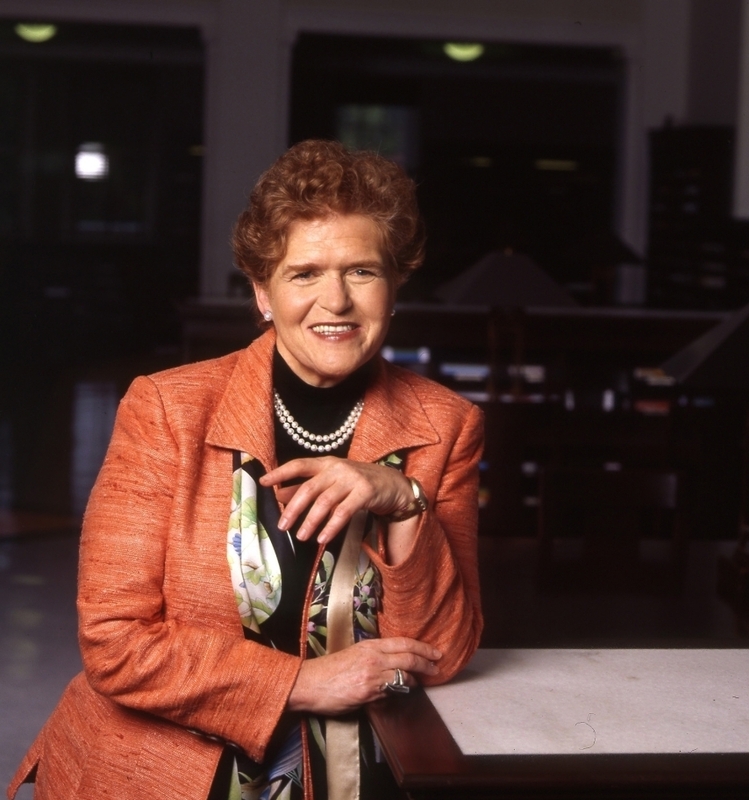 Author and historian Deborah E. Lipstadt. "Had there been a Jewish state, it might not have been able to stop what was going on, but one of the reasons many of the people who were murdered were murdered was because they had no place to go. And Israel would have been a refuge," she says. The trial was also a reminder that the Holocaust's victims had names, faces and histories. "The Holocaust didn't happen to numbers or just a large group. It happened to people," Lipstadt says. In the early 1990s, when serving as a consultant to the team planning the United States Holocaust Memorial Museum, I attended a meeting of the Content Committee, the group of laypeople who reviewed the plans for the museum's permanent exhibition. It promised to be a spirited gathering. At issue was the question of displaying hair that the Germans had "harvested" from Jewish women at Auschwitz and sold to factories that produced blankets and water-absorbent socks for U-boat crews. When the Soviets liberated the camps, they found storehouses ﬁlled with hair. The Auschwitz Museum had given the USHMM a number of kilos of it. The museum designers planned to display it near a pile of victims' shoes, which also came from the camps. When the plan was ﬁrst proposed, some staff members objected, arguing that it degraded and objectiﬁed the women. Although it was appropriate to display hair at Auschwitz, they did not think it should be displayed a continent away from there. Some feared that teenagers would ﬁnd it, given the particular world that this age cohort often inhabits, ghoulishly amusing. Their opposition notwithstanding, the committee voted nine to four to display it. Then a number of survivors grew wary and asked that the matter be reconsidered; hence this meeting. The project director had come equipped with scholarly, psychological, and even rabbinic arguments to counter the opponents. Scholars, including one of the most eminent Holocaust historians—committee member Raul Hilberg—argued that the hair should be displayed because it demonstrated the Final Solution's "ultimate rationality." The Germans considered a body part something to be transformed into an "industrial object" and a salable commodity. Psychologists believed that the display of the hair would be no more disconcerting than many other aspects of the exhibit. Leading Orthodox rabbis determined that displaying it did not constitute a nivul hamet, desecration of the dead, and transgressed no religious rulings. In an attempt to allay some of the objections, the designers proposed that a wall be built in front of the exhibit case. Visitors would have to choose to see the display and not just happen upon it. But then two committee members, both of whom were survivors, rose. One argued that this would be a "violation of feminine identity." A second spoke more personally. "That could have been my mother's hair. She never gave you permission to display it." When she sat down she said, in an aside, "It could have been my hair." The conversation soon ended. There was no vote, but all those present knew that the decision had been made. As we left, a committee member mused to no one in particular: "I don't object to the hair. But who am I to challenge survivors?" Shortly there­after, the chair of the Content Committee announced that the hair would not be included in the permanent exhibition. Today it sits in a storehouse outside of Washington. It has never been displayed. Survivors, speaking in the ﬁrst person singular, had a semantic, historical, and moral authority that trumped the psychologists, designers, historians, and other experts. But for the Eichmann trial, this might never have happened. There was no vote, but all those present knew that the decision had been made. As we left, a committee member mused to no one in particular: "I don't object to the hair. But who am I to challenge survivors?" This trial, whose main objective was bringing a Nazi who helped organize and carry out genocide to justice, transformed Jewish life and society as much as it passed judgment on a murderer. In the general world it changed our perception of the victims of genocide. On April 11, 1961, the theater of Beit Ha'am, Jerusalem's brand-new cultural center, was packed. Over seven hundred people ﬁlled the room for the trial of a man accused of being the chief operational ofﬁcer of the Final Solution. Newspapers worldwide carried news of this event. American television networks broadcast special telecasts. This was not the ﬁrst Nazi war-crimes trial. Yet there were more reporters in Jerusalem than had gone to Nuremberg. Why was this trial, coming just after the conclusion of Passover, different from the Nuremberg tribunals, where far more prominent ﬁgures in the Nazi hierarchy had been tried? Some of the differences were connected to the when of these two events. Nuremberg occurred in the immediate aftermath of the war, when many people wanted a mental respite from the horrors of the preceding ﬁve years. At Nuremberg multiple defendants had stood together in the dock. Now one man stood alone. The drama of this proceeding was further intensiﬁed by the way Eichmann had been brought to trial. Captured in Argentina, he had been spirited out of the country to Israel. Even then, a full year after his capture, there was still some mystery about precisely how he had been found. But the when and the how of his capture were eclipsed by the who: who found him and, more important, who would try him. At Nuremberg victors had sat in judgment. Now the victims' representative would sit in judgment. Immediately after the war, most Jewish Displaced Persons, as Holocaust survivors were once known, were focused on trying to piece together a new life, not on seeking punishment. Even if they had wanted to bring those who had destroyed their world to justice, they had no mechanism to do so. In contrast, by 1961 the immediacy of the war and its consequences had passed. The survivors, whose wounds had begun to be bound up by the passage of time, now had more physical and emotional stamina to demand justice. Most signiﬁcant, how­ever, now there was a sovereign entity to deliver it. The State of Israel, which was then entering its Bar Mitzvah year, exempliﬁed the victims' emergence from the very powerlessness that had helped make the Final Solution possible. The excitement and interest surrounding the trial had little to do with questions about its outcome. Most people, both those in the courtroom and those beyond, expected Eichmann to be found guilty. What was unknown was what would happen when history, memory, and the law met in this Jerusalem theater. Would the law prove adequate to adjudicate such an unprecedented event? Would the proceedings deliver retribution or genuine justice? Would Eichmann's defense strategy of obedience to orders hold sway? Would he try to justify the genocide? And what, if anything, would be the lesson for the future? Excerpted from The Eichmann Trial by Deborah E. Lipstadt. Copyright 2011 by Deborah E. Lipstad. Excerpted by permission of Schocken, a division of Random House Inc.